A fun and simple coin tapping arcade game for Android phones. A simple coin tapping game built with Unity and C#. Currently available on the Google Play store for download. 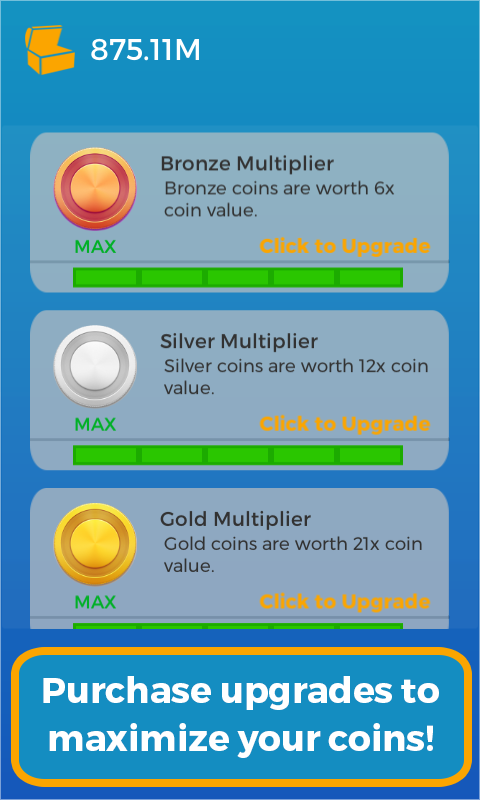 The sole purpose of this project is to build a simple game for Android that includes every major feature that any revenue generating game would have. 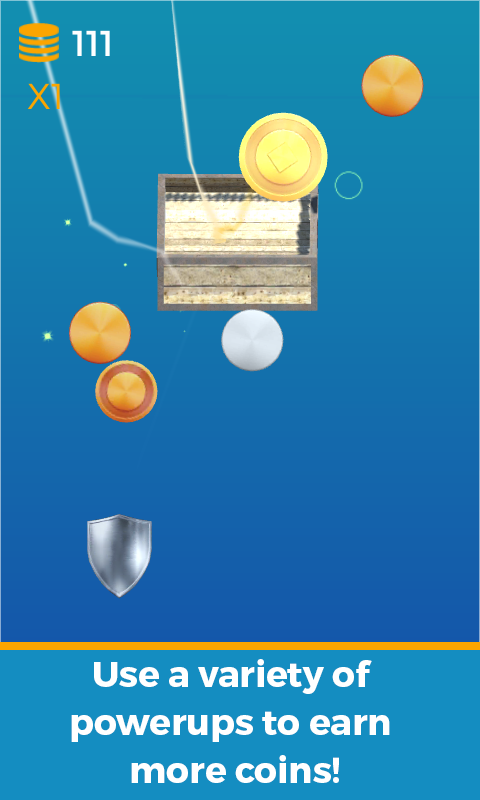 CoinToss includes a complete shop system with upgrades, Google Adsense, multiple game modes, high score storage/game saves, complex gameplay elements, and 3D graphics! 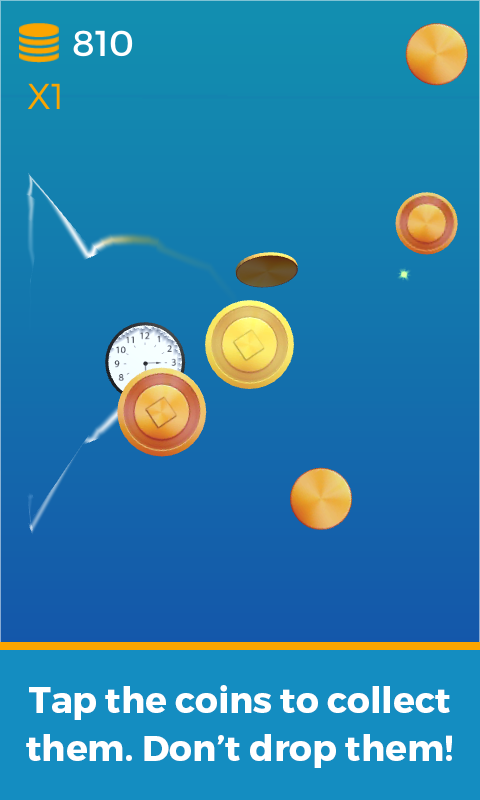 Now that I have the ability to build fully-featured and potential revenue earning Android games, now I can focus on making a fun game that can capitalize on what I've learned from building CoinToss.